In recent years there have been several alarming predictions about the future of the planet’s fish stocks. As a result, many national governments and supranational institutions, including the European Union, have instituted reforms designed to mitigate the crisis. This book examines the discourse and practice of ‘good governance’ in the context of fisheries management. It starts by examining the ‘crisis’ of fisheries in the North Sea, caused primarily by overfishing and failure of the European Union’s Common Fisheries Policy. It then goes on to analyse reforms to this policy enacted and planned between 2002 and 2013, and the proposition that collapse of fish stocks could occur as a result of deficiencies in new governing arrangements, i.e. failure to apply ‘principles of good governance’. The book argues that impediments to good governance practice in fisheries are not merely the result of implementation deficits, but that they constitute a more systematic failure. Governance theory addresses issues of power, but it does not recognise the many important spatially contingent and relational forms of power that are exercised in actual governing practice. For example, it frequently overlooks spatial practices and strategies, such as ‘scale jumping, ‘rescaling’ and the discursive redrawing of governing boundaries. This book exposes some of these spatial power relationships, showing that the presence of such relationships has implications for accountability and effective policymaking. In sum, this book explores some of the ways in which we might better understand governance practice using theories of scale and relational concepts of power, and in the process it offers a critique and rethinking of governance theory. 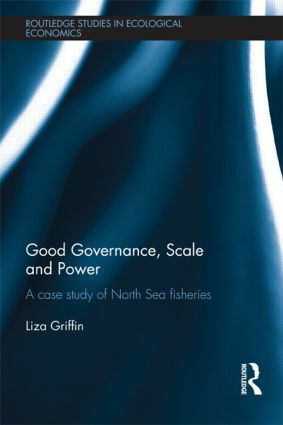 These reflections are made on the basis of an in-depth case study of the attempted pursuit of ‘good governance’ in the European Union via institutional reforms, focusing particularly on the thorny and fascinating case of North Sea fisheries management. Liza Griffin is Lecturer in Environment and Sustainable Development at University College London, UK.